Stock fotó / Vektoros grafika: Naptár · 2016 · év · vektor · terv · tervező / Calendar for 2016 Year. 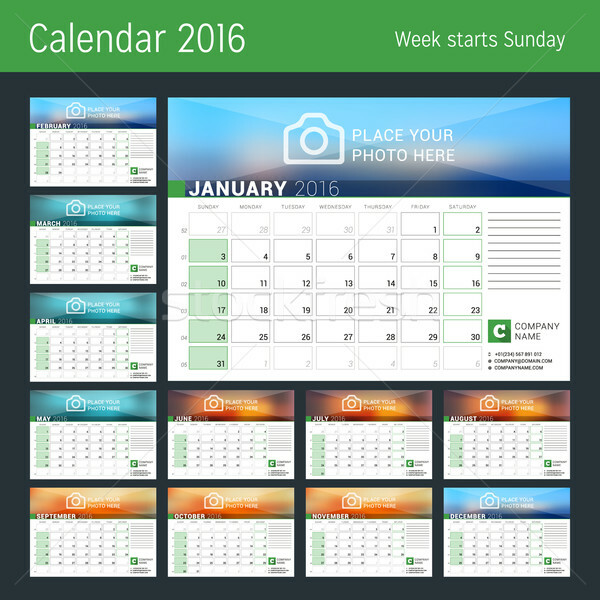 Vector Design Calendar Planner Template with Place for Photo. Week Starts Sunday. Set of 12 Months.